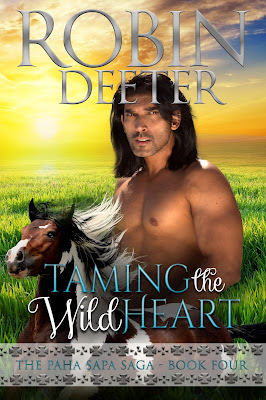 Robin Deeter currently writes a Western historical romance series and a Native American romance series. Learn more about her and her books at her website. Robin recently had the chance to interview her cover model and has shared the interview with us today. RD: How did you get started in the modeling industry? Vikkas: I’ve been modeling internationally for 10 years. I’ve done runway shows and photo shoots all over the world: Dubai, London, Sri Lanka and, of course, India. I’m also a Bollywood Actor and I’ve done two films as the main lead. And I’m now the Face of Romance Novels World Wide. I am truly humbled by all the love I receive and I give it right back. RD: What are your favorite kinds of photo shoots? Vikkas: I enjoy every photo shoot because it gives me a chance to emote and be myself and exchange energies with other models. It gives me the chance to become a different person, show different types of expressions, and, most importantly, body language. RD: What modeling awards have you won? Vikkas: I did Gladrags modeling contest in Bombay 10 years ago, where I ranked in the top 10. I’ve also been on magazine covers like Health, Men’s Magazine, GQ, numerous music videos, billboards, and I shot for loads of brands. RD: How many books covers have you been featured on? Vikkas: Who’s counting, right? *laughs* But I think 260 so far and there are a lot more that I don’t know about. I’m very proud of my stock site, VikkasZone.com. RD: What would your dream vacation be? RD: What is your biggest goal for the future? Vikkas: That’s a secret that’ll be coming up. I’m hoping to do films in Hollywood and TV shows. I’m very focused and determined in what I want to achieve in my dreams, as we all should be. Life is too short and we have to make it in this one lifetime before we are gone and left with only the photos on the wall. I encourage everyone to go achieve their dreams. Every particle in our bodies screams our desires and dreams. RD: What else would you like readers to know about you? Vikkas: I love my family. Without my family, I am nothing. I worship my mother and father. Because of them I exist on this planet. I have not seen God, but I have seen them. Learn to love one another regardless of one’s imperfections. Also, please never waste food. If you can’t finish it, take it home. I’ve seen too many children go hungry all over the world. We must teach kids not to ever waste food. All my love to you all and I thank you for showering your love upon me. Please visit Vikkas’ website to sign up for email alerts about upcoming works, events, and news as well as links for social media. Mid-18th century North America is a hotbed of unrest between many Native American tribes, who are feuding over territory. By this time, most of the Kiowa bands have been pushed west by the Lakota, who are on the move southward from the Great Lakes region. These invaders from the north want the game-rich, lush pasture lands of the territory for themselves. However, one small Kiowa band is determined to remain in their early homelands in the region of what will be one day known as eastern South Dakota. 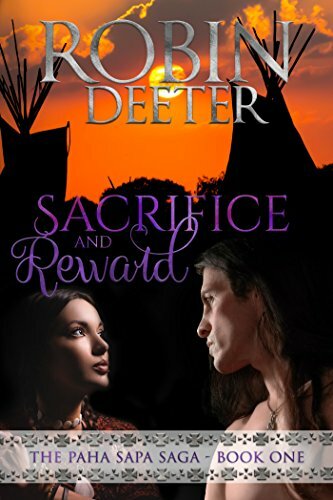 These two enemy tribes are brought face-to-face through the vision of a young Kiowa medicine man. Sky Dancer, a beautiful, Kiowa widow, and proud Lakota warrior, Dark Horse, are forced to marry in order to create an alliance between their peoples. Right from the beginning they clash in a test of wills, loathing each other on sight, making a happy marriage seem out of the question. Will the sacrifice that is asked of them save their tribes? Can these two enemies overcome their initial hatred to find love in unlikely place or will distrust keep them from the reward they both crave?